Boeing announced on Monday that it would brief more than 200 global airline pilots, technical leaders and regulators on software and training updates for its 737 MAX 8 passenger plane later this week, in a bid to return the jet to commercial service. 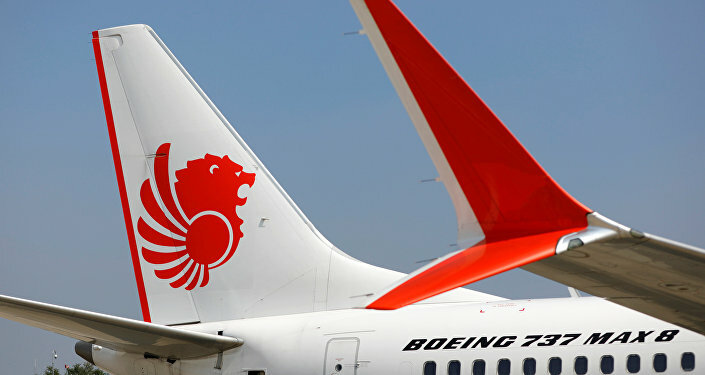 According to Boeing, the information session is scheduled for 27 March in Washington. The move comes after airlines around the world grounded their Boeing 737 MAX 8 aircraft after one of the planes, flown by Ethiopian Airlines, crashed on 10 March, killing all 157 people on board. The tragedy followed a suspiciously similar Boeing 737 MAX 8 crash in Indonesia, which happened in late October, killing 189. After Boeing’s announcement Monday, Ethiopian Airlines chief executive Tewolde Gebremariam signalled his company’s readiness to continue cooperation with Boeing despite a recent crash. “Despite the tragedy, Boeing and Ethiopian Airlines will continue to be linked well into the future. Ethiopian Airlines believes in Boeing. They have been a partner of ours for many years,” Gebremariam stressed. At the same time, he recalled that many questions regarding the 737 MAX “remain without answers”, with an Ethiopian Airlines spokesperson saying that the air carrier had no “immediate plans” to attend the Boeing session. The remarks followed Boeing's announcing that software upgrade for its 737 MAX 8 is ready to be reviewed reviewed by the US Federal Aviation Administration (FAA), a process that the FAA reportedly said may be wrapped up before the end of March. Reuters reported in this vein on Monday that it remains unclear “whether the software upgrade, called ‘design changes’ by the FAA, will resolve concerns stemming from the ongoing investigation into the March 10 Ethiopian Airlines crash”. Last week, Ethiopian Airlines rejected the Washington Post's allegations that its pilots had complained to the FAA about "flawed training programs" and poor safety procedures four years ahead of the 10 March crash. The air carrier added that it was "waiting patiently" for the results of the investigation on 737 MAX design and certification, which was launched globally after the March tragedy.